Women’s Nationals was a BLAST! As the lone Nebraska woman represntative I did my best getting a PR Competition total of 750. I weighed in the lightest 63kg (58.9) gal out of the 22 lifters and by wilks that finished me 10th. In my divisions I placed 4th in the Open and 5th in the Masters. Robert Keller of USAPL has been directing and hosting quite a few of the National meets in Florida and now it is time for some WORLD action. Master’s Worlds will be hosted in Orlando Florida the end of September with Nebraska lifters again representing. This time they though Steve and Bill will be representing the US! Dan Goodwin lifted in the Masters 80-84 division. WHAT AN INSPIRATION! Finishing 1st in the 83kg (weighing 75.6) and totalling 295kg. Dan proves that you are NEVER too old to lift. Steve Davenport made his debut as a master lifter in the 120+ kg 40-44 division. He had an exceptional day missing only his second squat and totalling 920kg. Very excting for him as this will be his first time on the Master’s World Team as well. As you know traveling is pretty expensive yet the priviledge to lift at a national or world status is a huge lifetime honor. These guys that are heading to Master’s Worlds in Florida could use all the help they can get. So if you are interested in showing your support and sponsoring them in anyway please contact them or us and we can maybe work together to help out. Again if you have any Nebraska USAPL news to share or pictures please contact me so I can get the word out. 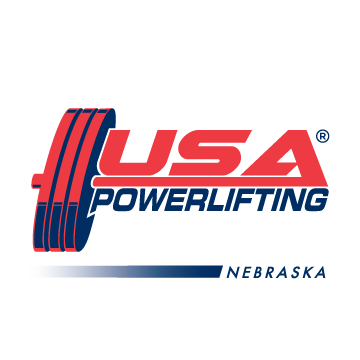 USAPL Women’s Nationals~Where’s the Nebraska Lifters??? Well the Master’s Nationals has wrapped up and Nebraska brings home GOLD! Dan Goodwin, Bill Sindelar, and Steve Davenport all won their divisions. Bill and Steve has also now qualified for the WORLD team! Way to go guys! Full results will be posted soon. Nebraska gots you COVERED when it comes to great meets coming up!  New this year will be the Summer Push-Pull in Lincoln August 10th which will be a BENCH ONLY or DEADLIFT ONLY competition. Go to upcoming meets to get your entry form! And for your full meet needs Alliance will be hosting the Power Surge Powerlifting and Bench Press Championships September 21st. It will be a full meet and bench only meet. More information and entry for that soon! So there is no excuses! There is a meet for everyone clear on both sides of the state. START TRAINING! Oh, and if your available to help score, ref, spot/load, or volunteer in any way for these up coming meets please let us know asap. We ALWAYS need help and it isn’t possible without our voluntters.